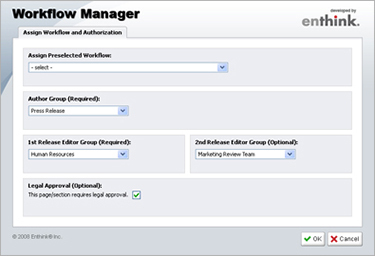 enthink: Workflow Manager - Open Text Web Solutions Usergroup e.V. 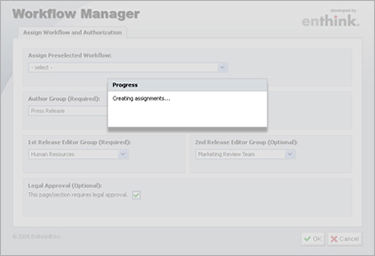 Workflow Manager efficiently govern content while increasing the speed of web strategy delivery. 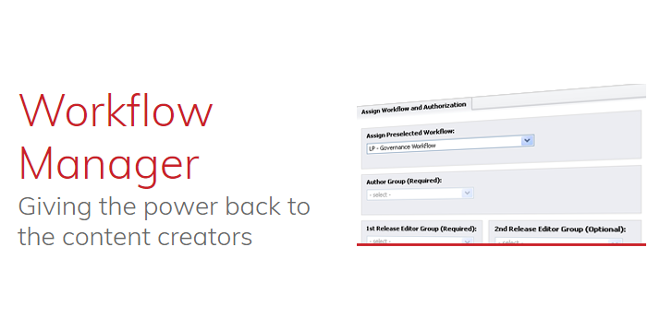 This product introduces an easy way to build and apply workflows and authorization packages without administrative involvement. Utilizing an intuitive interface, authors and editors create and implement pre-built packages to each page created in CMS. 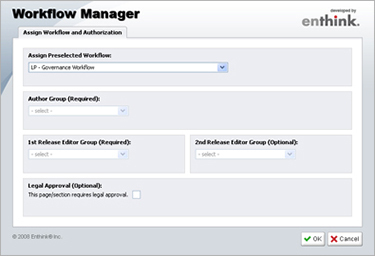 To watch a demo of Workflow Manager, please login to your Resource Center account. If you don't have an account, please register for an Enthink account today. © 2017 Enthink Inc. All Rights Reserved.